Many of you sent me your NBME scores and asked me to tell you the predicted score. It’s really hard to tell exactly what you will get on the actual exam since there are so many factors that affect your score. Lack of sleep, tiredness, nervousness, hunger, and anxiety all of these will affect your score during the exam. But we all want to know if we are ready for this exam right? Not too long ago, I was at your position and asked around about a good predicted score. But today, I will tell you how to figure out a good predicted score. Now, don’t go and ask around which NBME is a good predictor. 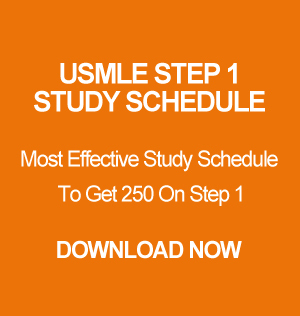 You can read my post on Which NBME Forms To Take For Step 1 and also read the post on How To Take And Study An NBME For USMLE Step 1 Properly. From my experience, I can tell you that a single NBME is not enough to predict your score. You need to take at least 3 NBMEs and then take the average of the scores. Once you get the average NBME score look at the table below and find the appropriate USMLE score. If your NBME scores are not improving and you tried every single options don’t get frustrated. I helped many students to score very high on the NBMEs and Steps. If you want to discuss your progress and need a better study guide feel free to check out my one-on-one consulting service.